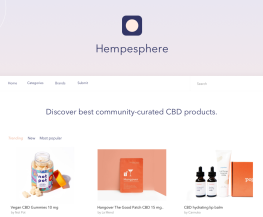 Largest community-curated collection of natural USA farmed CBD products that people use and love. Our goal is to support highest quality, natural, eco-friendly USA farmed CBD products that meet high production standards. We strive to overcome the stigma around CBD and by educating people make said goods available for a wider audience.